Have you exhausted your efforts in reaching maximum health and longevity? Tired of taking prescription drugs to cover up the symptoms of an underlying cause? At Gonstead Physical Medicine, we believe that patients should make their own health choices. We are an integrated medical clinic that focuses on the "whole" problem instead of just the symptoms. 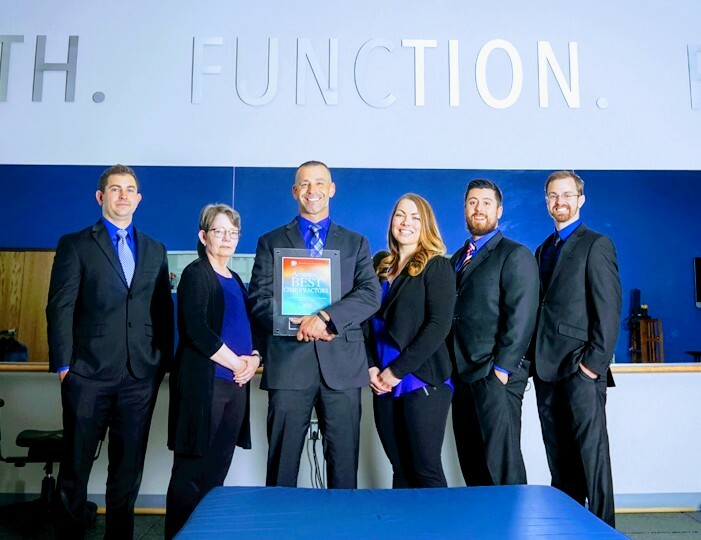 We offer services such as Chiropractic, Functional Rehab, Non-Surgical Spinal Decompression, Massage, Dry Needling and we use multiple healthcare professionals across different scopes of practice to work as a team to get you better! We will educate you and your family regarding the detrimental effects of the spinal ligament damage. Design an individual care plan, and allow you to make an informed decision regarding the health of you and your family! Gonstead Physical Medicine accepts most insurance plans, including Blue Cross Blue Shield, Cigna, Aetna, Presbyterian, and others. We also accept personal injury cases, workman's comp, and third-party in most cases. Flexible payment plans available for those not covered by insurance. Take a tour of our clinic, which has been designed to reduce the time involved in the routine office visit, allowing you and your family more time to enjoy improved health and less time at the doctors office!